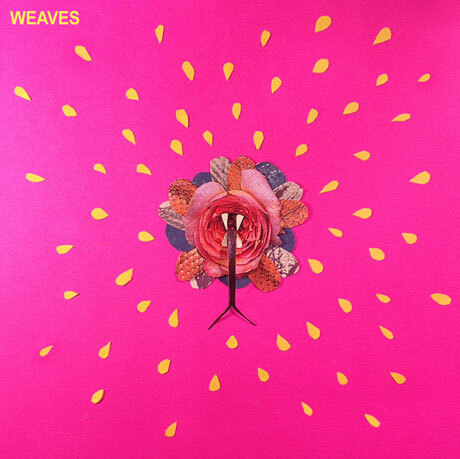 On Toronto band Weaves' debut, self-titled EP, we are given a tasting menu of the group's wild spectrum of sounds. Bouncing from opening track "Buttercup" and its offbeat art-rock charm to the ear-splitting barrage of psychedelic riffs and pounding drums on "Take A Dip," it's tough to pin the four-piece down to a specific genre. This proves to be more rewarding than it is detrimental, though. In the span of six songs, we are able to see the vast potential within vocalist Jasmyn Burke's versatile voice, which reveals glimmers of tUnE-yArDs' signature warble as well as shades of R&B and soul.